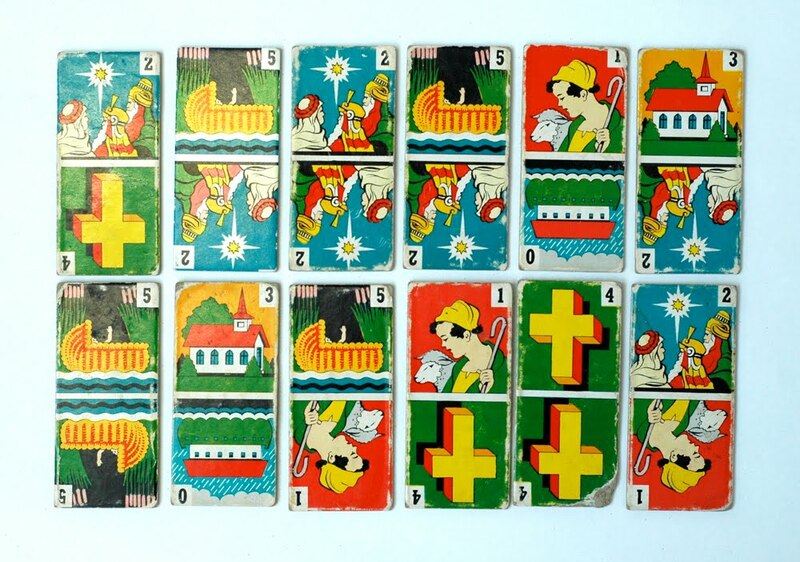 Vintage religious lotto game cards (part of larger bingo/lotto card collection). Whoa, this brings back some memories! My brother and I grew up playing with these, but I can't for the life of me remember how the game worked. Did I tell you I love your stuff? I love your stuff! vintage religious gambling- three of my favourite words. Oh my gosh! 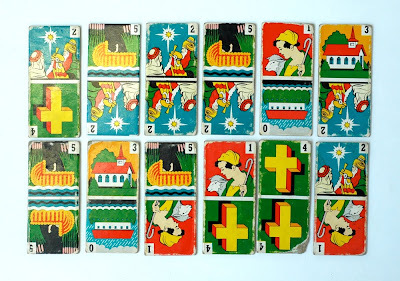 I had a set of these Bible Dominoes and I played with them A LOT as a kid! How awesome to see these here...brings back a lot of memories!